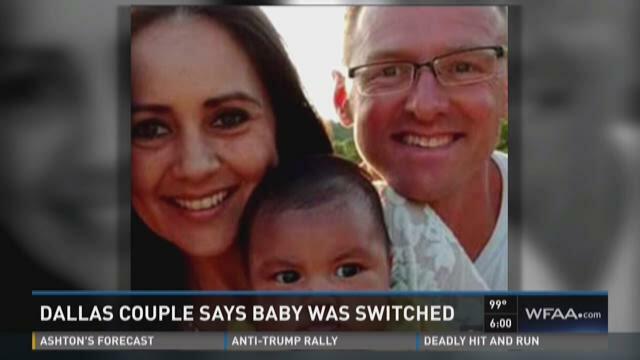 Dallas resident Rich Cushworth and his wife say the baby just didn't look like them. UPDATE: Dallas resident Rich Cushworth and his wife, Mercy Casanalles, have been reunited with their biological baby. An investigation continues into how the couple were given the wrong child after Casanalles gave birth at an El Salvador hospital. As of now, both babies have been returned to their biological parents, according to Casanalles' attorney. Authorities say they don't suspect the doctor of any criminal wrongdoing and believe the incident was a case of a mix-up. An investigation into how the babies were switched at the hospital continues. DALLAS — Dallas resident Rich Cushworth and his wife say the baby just didn't look like them. "It's not mine and maybe there's another mother suffering the same as I am and perhaps I have her baby," Mercy Casanalles told reporters during a recent emotional Spanish-language TV interview in El Salvador. Casanalles was in and out consciousness for about a day-and-a-half.Casanalles gave birth this past May at an exclusive hospital in her home country of El Salvador. Pictures taken shortly after birth show her cuddling a light-skinned baby they called Jacob. DNA tests now show they were right to be suspicious. Those tests show the child could not be their biological child. Genetic testing has now been conducted on all of the baby boys that were born in that hospital on the same day as their baby. El Salvador's attorney general said Monday night that the baby had been found and would be reunited with his family. 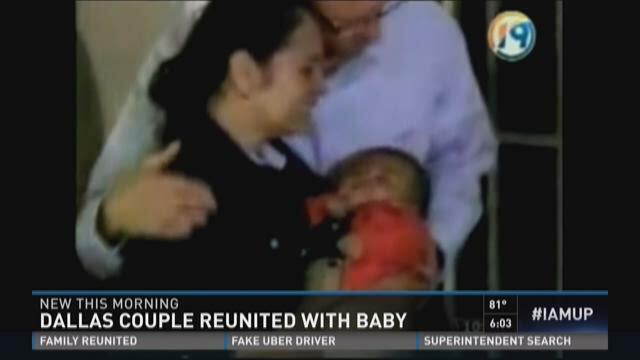 The parents said they love the other baby Jacob and hope that they can keep him, too, but officials were working to reunite both families with their baby. Family friends told News 8 Monday night that Cushworth and Casanalles were reunited with their baby. Authorities took the doctor, Alejandro Guidos, into custody this past week. Authorities there have launched a criminal investigation into allegations Guidos may have been operating a baby trafficking gang. The couple was in court Monday for the doctor's first court hearing. Before Cushworth and Casanalles made international news, they were an international love story that began at Christ for the Nations in Dallas. Cushworth is a British-born North Texas resident. Casanalles came here initially on a one-year study visa from El Salvador to study at the school. They married, although she had to return to El Salvador. Cushworth visited her and her 12-year-old son every chance he could, and they were thrilled when she got pregnant, friends say. "He's such a great guy," said Alfredo Navarro, a friend. "He was so excited for him and his wife having this baby." Casanalles told reporters in El Salvador that months before she gave birth, she recalled Guidos telling her that her child would be dark-skinned. She found it odd, given that Cushworth is white. This past May, she was admitted to the hospital for an emergency C-section. Cushworth wasn't there. He was back in North Texas. She says when she saw the baby, she thought he looked like her husband. But the baby they brought her later had a thick head of black hair and didn't appear premature as her baby had been. The baby also had a mole that she didn't recall seeing. Beishline and Navarro say the couple reluctantly took the baby home from the hospital. "She had really felt there was something wrong from the beginning," Beishline said. Their couple's suspicions grew so much so that decided to have the DNA testing done. "I would take photos of him and put them next to my husband, trying to find something of us in him," she told the TV station there. "I kept trying to convince myself that he was really ours, that over time we would begin to see a resemblance. But my motherly instincts kept telling me that he wasn't mine." After getting the DNA results back, they returned to El Salvador on the advice of their attorney, Beishline said. "The first thing he said was that it looks like the baby was definitely taken on purpose and that it looks like the doctor was involved," he said. Beishline says Casanalles moved to Dallas about three-and-a-half weeks ago to continue studying at Christ for the Nations. The couple is currently living on the school's campus. Back home, friends were praying for a miracle. "They're just praying," Beishline said. "You know the Bible says that light will shine in the darkness...We believe that God will bring something out of this including the baby coming back."